The seemingly never-ending saga of the bankruptcy and subsequent sale of Fisker Automotive looks like it finally has an end. After 19 rounds of bidding over two days, dark-horse suitor Wanxiang Group has acquired the destitute hybrid auto maker. Wanxiang will end up paying $149.2 million, according to Bloomberg, or about six times what the company was originally going to be sold for. When Fisker initially filed bankruptcy last November, it listed assets of a maximum of $500 million with debts of as much as $1 billion, so it was kind of surprising when the company announced that Hong Kong businessman Richard Li's Hybrid Tech Holdings had offered to buy the company for only $25 million. Under the terms of Li's bid, Fisker's creditors would've gotten basically nothing. Obviously, this would not do, and the groups that owned Fisker's debt eventually got the company up for public auction, leading to last night's result. It's a bit hard to tell what the future holds for Fisker, but Wanxiang doesn't look to be so bad, seeing as they already own Fisker's battery supplier, A123 Systems. And in case you're forgetting, it's the bankruptcy of A123 Systems that contributed to the collapse of Fisker, since A123 stopped supplying batteries which caused a shutdown in the Fisker assembly line. Now with the two companies under one roof, hopefully Fisker and A123 can re-start production and start building funky-looking technological wonders again. And before you start complaining in the comments about "China taking over America," before this bidding all started, both Wanxiang and Richard Li said they would use Fisker's assembly plant in Delaware, per US DOE rules that the company had to maintain manufacture in America. 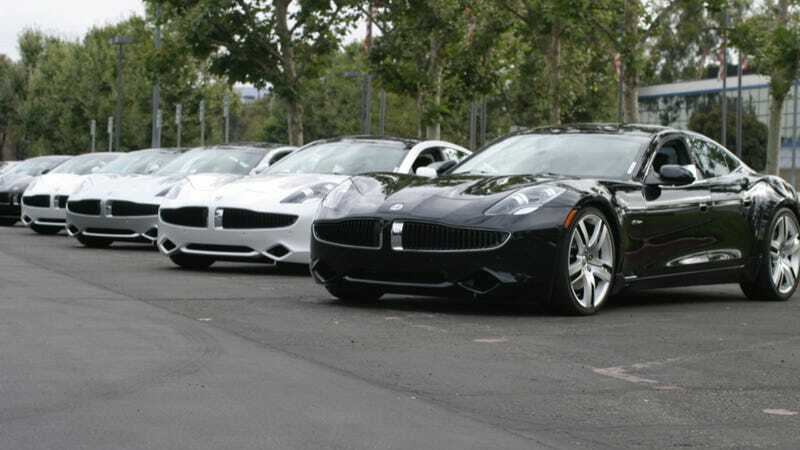 Which is more than could be said for Fisker under its original ownership. Every Karma that was eventually built was put together by a subcontractor in Finland. All this may be water under the bridge, though. I'm admittedly a big fan of the Fisker Karma. And I just want it back.